Persian is the ancient language of Persia and the modern language of Iran, Afghanistan, and Tajikistan, the language of the Epic of Kings (Shâhnâmeh), the Robâiyât of Omar Khayyâm, and the mystical and spiritual verse of the poet Rumi. Persian is an Indo-European language, related to English, Greek, Latin, Spanish, French, German, and Russian, but written — for historical reasons — in an Arabic script. 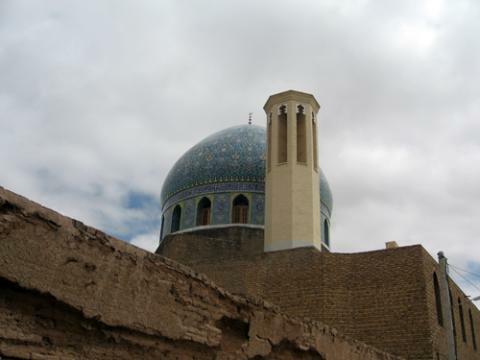 Farsi is the dialect of Iran, Dari that of Afghanistan, Tajiki that of Tajikistan. The Persian Empire was one of the greatest of world history. Persian is taught during both academic year and summer at NC State. See links at the right for more information about courses, learning materials, and below, for student and other local cultural organizations. NC State also offers a Minor in Middle East Studies, for which Persian is naturally an elective language. If you have more specific questions regarding NC State Persian courses, or questions related to Persian in general, please write to Maryam Mohaghegh. First and third semester Persian language (FLPER 101 and FLPER 201) are taught in the Fall of each Academic Year, and second and fourth semester Persian (FLPER 102 and FLPER 202) are taught in Spring. Fifth and sixth semester Persian (Advanced Level) are available on demand. Persian is taught at NC State in summer in intensive format: 101 and 102 in six weeks for eight academic credits. Classes meet daily for five and a half hours, with mornings devoted to structure and grammar and afternoons to practical conversation and culture. Very high levels of oral proficiency are attainable in this format. For specific information about Summer Intensive Persian at NC State, see our GO NC State website.